According to the Holy Scriptures (Gen. 2:7) the creation of man differed greatly from the creation of plants and animals. For while the plants and animals originated directly from the earth through the word of God, man was created from the dust of the earth, and received from God the added breath of life. This is related in the previously mentioned passage, as follows: "And the Lord God formed man from the dust of the ground, and breathed into his nostrils the breath of life, and man became a living soul." Man, therefore, consists of two elements: body and soul. There are some Theologians who hold the theory that man consists of three distinct elements: spirit, body and soul. They base their theory on two New Testament passages - 1 Thess. 5:23 and Hebrews 4:12. However, they disregard twice and thrice as many passages in both the Old and New Testaments, in which the words soul and spirit are used with the same meaning and context. These are the passages - Psalm 73:26; 84:2; 143:4; 1 Cor. 2:14-15; 5:3; 5:5; 6:20; 7:34; James 2:26. By accepting this, we oppose both the antibiblical theories known under the names Spiritualism and Materialism. The first theory holds the view that there is no body, but what we call body is nothing else except an image of the spirit or the prison of the spirit. Materialists, on the other hand, try to attribute the spiritualistic qualities in man to the gray matter which is sheltered under our skull. Needless to say, the Greek Orthodox Church pays little attention to the existing findings and theories of Charles Darwin, which claim that man is not the creation of God, but the final process of a series of metamorphoses and changes, developments and evolutions of the primitive cell of life. Man, being a creature of God or the creation of God, the crowning glory of all creation is - as attested by the Scriptures - created, according to the image of God, and for the sole purpose of reaching the ultimate goal of resemblance to God. This attainment is possible through careful use of man's freedom of will. For man was created free, with all the potentialities of attaining or abstaining from perfection. 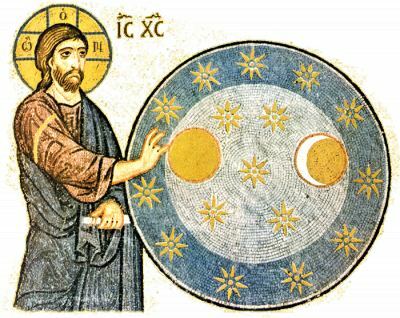 The Greek Orthodox Church believes that the primitive state of the first man was a state of straightness and guilelessness, not a state of sanctity and perfection. The latter would be the ultimate goal of man's life. Excerpt from the undated and unpublished public speeches of the Rev. James Coucouzis, who later became known as Archbishop Iakovos of North and South America. 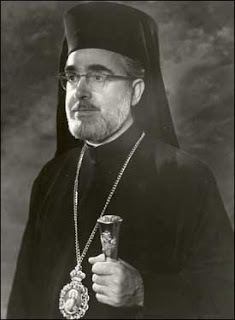 Published in Dean James A. Coucouzes as a Model of Priesthood: Archbishop Iakovos' Ministry at the Annunciation Cathedral of New England (1942-1954), by Cleopas Strongylis (2012) pp. 460-461.